To succeed in this market, young people need to find the gaps between industries and professions to come up with meaningful new careers that add value in unexpected ways. This may involve launching a start-up business or becoming self-employed rather than seeking a traditional job. People start businesses from their garages and their kitchens, CEO’s leave successful careers to set up charities, the buzzwords are success as much as self-fulfilment. Since this is a world where the lines between jobs, disciplines and skills are blurring, the more skills an individual possesses the more likely he or she is to succeed, says Boston City Campus & Business College CEO, Ari Katz. Katz says that for South Africa to succeed in a world where traditional jobs and industries are going through seismic change, it is essential for the country to nurture entrepreneurial skills in the youth. The country needs to nurture fresh business endeavours that help its people to build the economy and earn a living through innovative thinking. “It is for this reason that we sponsor and support (through various means) endeavours started by the youth. We are proudly involved with Dreamgirls, a venture run by a group of young successful entrepreneurs whose purpose is to mentor and groom female learners. We have provided them with bursaries and career counselling. We are also and now we are involved with the Pop poetry league, the first of its kind in South Africa” says Katz. “This league was started by a matric learner, Ruby-Anne Birin, who together with her partners has gone against the grain and established a school league in a new artform that has the schools clamouring to enter the league. Wayne Mallinson, Editor in Chief at SA Career Focus, agrees. Since many have matured and even started to decline, we need to combine knowledge, materials and technologies that create whole new industries. Home bloggers have been known to produce a book from their musings. Careers no longer fit into a tidy box because the gaps between various professions and disciplines are closing. Arts and sciences are converging in products such as computerised art, smart building materials, clothes that display patterns or messages, and hospital surfaces that are designed to destroy harmful bacteria. Curious, brave people who delight in absorbing diverse new knowledge while studying, and who are not afraid of exploration or play can catalyse these industries, adds Mallinson. “Those examples are the tiniest fraction of what is possible. We are living in an exciting age, where if you can think it, it can likely be,” says Mallinson. The Pop poetry example is a prime example of this, where one learner with a no-holds-barred attitude has shown us what is possible if you reach for your dreams. 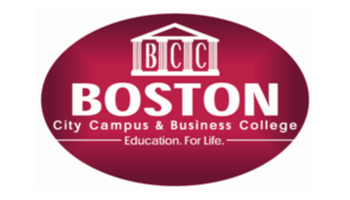 Boston City Campus has found that many people will have engaged in a period of self-employment for one or more years by the time they reach their retirement age. But many of them struggle because their traditional tertiary and secondary education hasn’t equipped them with the skills they need to work for themselves. For example, many people have great qualifications in computer programming, but they don’t have much exposure to principles of entrepreneurship, marketing or practical business finance. Boston’s course closes this gap by equipping students with the knowledge they need to run their own businesses, communicate effectively with customers and suppliers and manage the finances of their venture. For more information contact our national call centre on 011 551-2000 or visit www.boston.co.za.